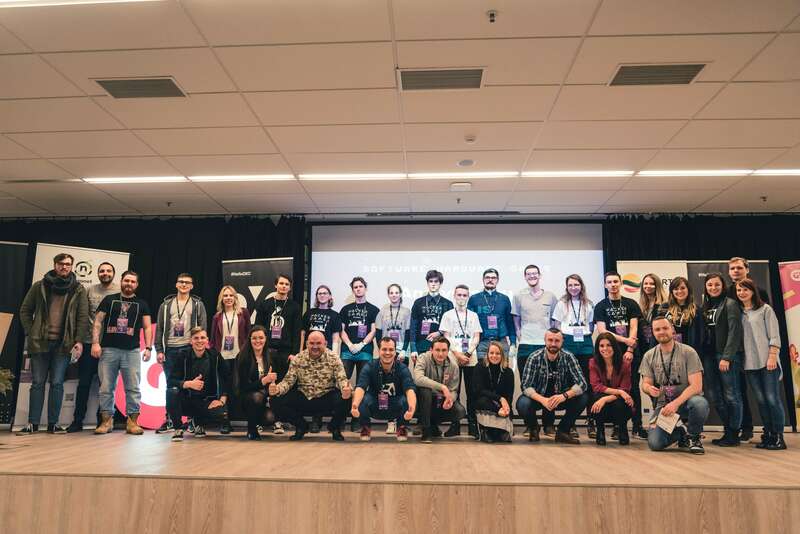 Anniversary Hacker Games: 3 international accelerators, 28 finalists, 7 winners! This weekend was massive! Anniversary Hacker Games just finished, so find out the results! On November 24-26th University Of Applied Social Sciences hosted over 200 attendees. Hackers, software developers, designers, engineers worked non-stop for 48 hours and created 28 projects. Attendees pitched their projects and took more prizes than ever back home. 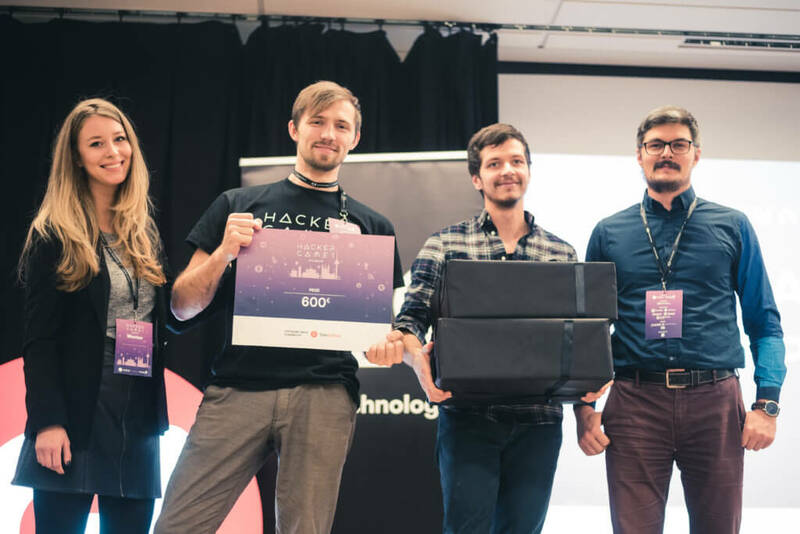 Please, meet the winners of 10th Hacker Games. 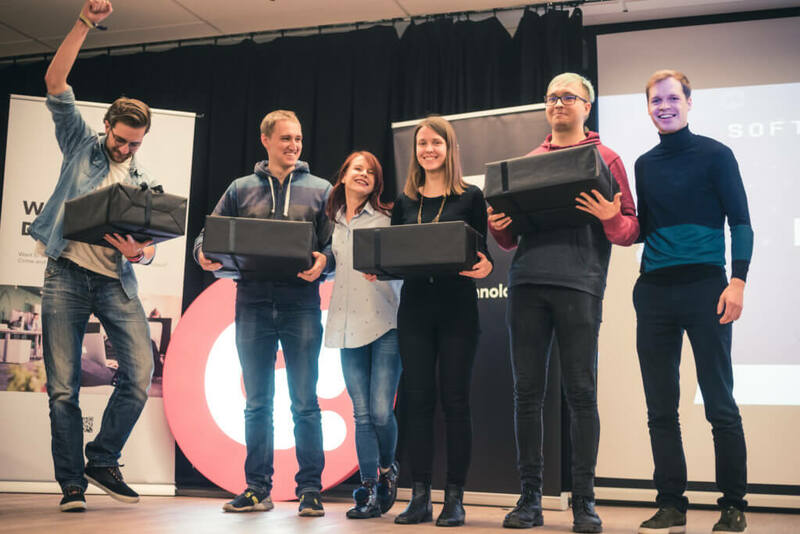 First place and 600 Eur from TeleSoftas was won by SmartMark team, who created the smart watermarks platform to protect images from plagiarism. Second place and 400 Eur from Tesonet was won by Lead Miner, who created lead generation application for small business. Moreover, Podcastersson team received 2 cool Tesonet backpacks for their project that allows converting your playlists from such platforms as YouTube into standard podcast format so you can listen to it on your favourite podcast application. The track, powered by TeleSoftas and Tesonet had 14 projects which were initially pitched on Friday night and 10 entries made it to the finals. 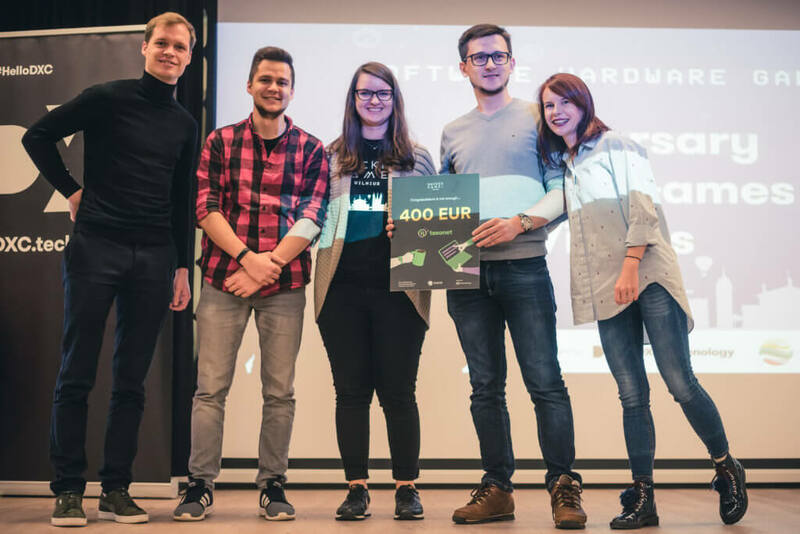 1000 Euros prize for an industry trip from Game Insight was given to a team named Weekend Warriors. They created a game called “Mushrooms” where you have to grow as many mushrooms as you can! Unity has ensured a special prize for games developers – one year Unity subscription! This prize was won by Drochido, who made jury laugh, by creating the game where you have to shake your phone for score. In Games track powered by Game Insight were pitched 16 projects, which made it the most popular track of Anniversary Hacker Games.